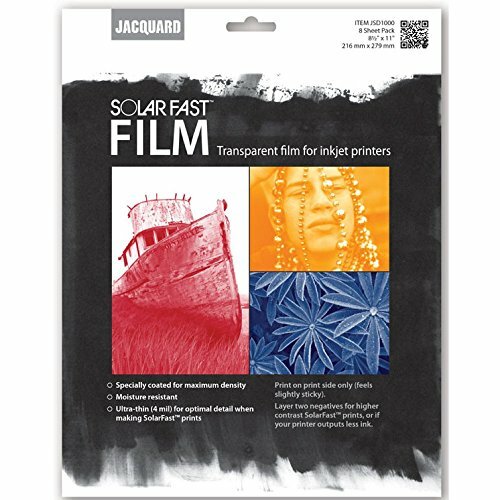 SolarFast Film can be used in conjunction with SolarFast dyes to create permanent photographic prints on paper or fabric. SolarFast film is moisture resistant and specially coated to make the best negatives. Negatives may be printed using an inkjet printer. Higher contrast images work best, and high density is key: the blackest areas of a negative should be completely opaque, and the lightest areas transparent. Made in the USA.